Congratulations to Peter, Dylan, Alex, Josh, and Tristan. 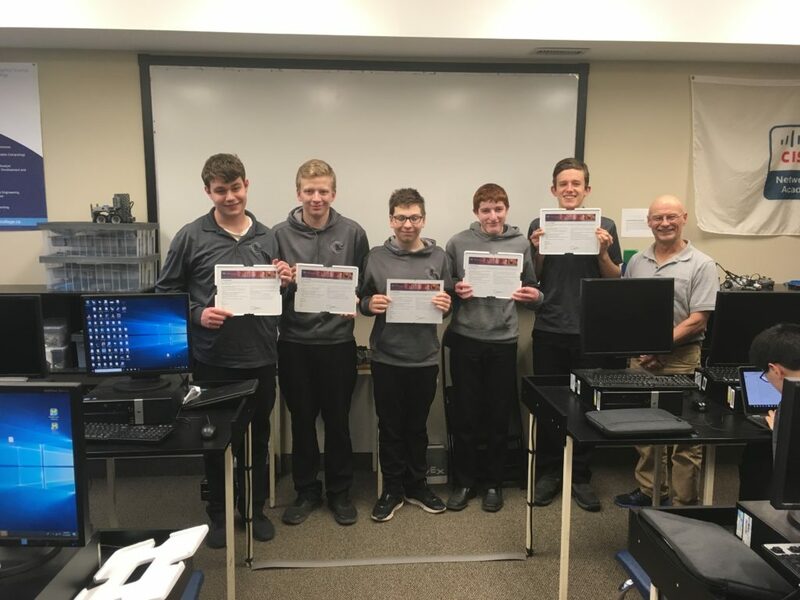 Great job at successfully completing their Cisco IT Essential Certification.The IT Essentials Certification is a professional industry standard certification course offered through Cisco Systems which provides training for students at the entry level IT position. As a Cisco Academy, Chisholm helps students lean the basics of software, hardware, networking and customer service as well as troubleshooting procedures. Great work all!